Bill Clinton is one of the most important American political leaders of modern times and served as the 42nd President of the USA. This biography gives detailed information about his childhood, life, works, achievements and timeline. ‘If you live long enough, you'll make mistakes. But if you learn from them, you'll be a better person. It's how you handle adversity, not how it affects you. The main thing is never quit, never quit, never quit.’ This quote by Bill Clinton aptly describes his life and his motive for living. The 42nd President of the United States of America, Clinton is one of the most remarkable politicians who ventured to take the country through the depressive economic condition towards a progressive and prosperous future. A strong supporter of futuristic vision, he brought about progressive policies in the educational and health care sectors and aimed at providing the citizens with better living conditions. 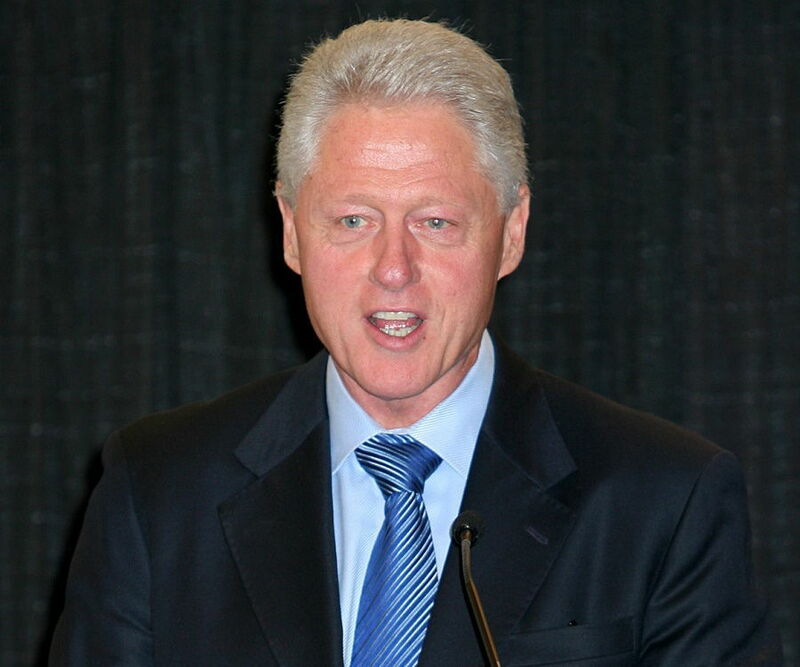 Before taking up the office of the President, Clinton served as the Governor of Arkansas for two terms and the Attorney General of Arkansas from 1977 to 1979. From a tender age, Clinton was blessed with leadership qualities and served as the student union leader in his school and college days. However, very few know that he was blessed with music abilities as well. In fact, Clinton during his high school days was the best saxophonist in the city and even considered taking up music as a career. However, his profound interest in public service had a somewhat overpowering effect as he made his way to the most important office of the country. Bill Clinton was born as William Jefferson Clinton to William Jefferson Blythe and Virginia Cassidy Blythe. His father died several months before his birth. Under the care of his maternal grandparents, while his mother was attaining a degree in nursing school, young Clinton learned to count and read. Interestingly, he was deeply inclined towards Baptism and regularly attended gospel music at the church since a young age. He was a stellar student at the Hot Springs High School. An avid reader with leadership qualities, he developed an affinity for music and mastered playing saxophone. However, his real interest was in public service. 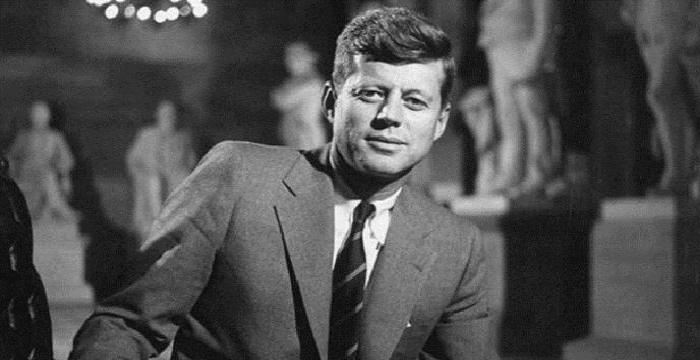 In 1963, he attended the Arkansas Boys State, where he was elected as the representative of the Boys Nation, which was scheduled to meet the then president, John F Kennedy. While this meeting turned to be influential for him, it was Martin Luther King Jr.’s speech that tempted him to become a public figure. In 1968, he attained a B.S. degree in Foreign Science. During his college years, he found himself a significant place at the university politics. Post-graduation, he interned for Senator J. William Fulbright. In 1968, he won Rhodes scholarship to gain admission at the Oxford University. However, a call for military services disrupted his studies. He later attained a Junior Doctor degree from Yale Law School in 1973. Upon graduating from Yale, he moved to Arkansas where he took up the position of a teacher at the University of Arkansas at Fayetteville Law School. In 1974, though he lost the challenge to John Paul Hammerschmidt for a seat in the US House of Representative, his name was established in the political circles and he soon became a star of the Arkansas Democratic Party. As Governor of Arkansas, he set out idealistic goals for state education and health care system. But his limited knowledge and inexperience led him to handle important issues abruptly, which brought him down from the position in 1980. Unnerved by this, he worked at the Little Rock law firm for two years before bagging the Governor office back again. 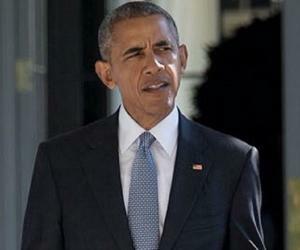 He admitted his past mistake and pleaded voters for a second chance, one that he retained for four consecutive terms. During his second league as a Governor, he took a centralist approach and was not driven by extremism. He was both traditional and liberal in his approach. He stressed on educational reforms and established competence test for teachers. Furthermore, as governor, he appointed blacks to key government positions, designed welfare programs for people, favoured death penalty, initiated public opinion polls and brought out new policies through careful planning and advertisement. Other than serving as Governor, he took the position of the Chairman of the National Governors Association for 1986-87 and became actively involved in the Democratic Leadership Council in 1990s. In 1992, he defeated his party nominee in the Democratic primaries to become the appointed person for the upcoming Presidential elections. Choosing Senator Al Gore as his vice presidential candidate, he started his presidential campaign. He mainly stressed on recovering the economic issues of the country. On November 3, 1992, he was elected the 42nd president of the United States, a position which he retained for two terms, from 1993 to 1997 and 1997 to 2001. During his first year, he brought about several policies but none proved to be much successful. His health care reform bill was a major failure and led to Republicans gaining control of both the houses of Congress in 1994. 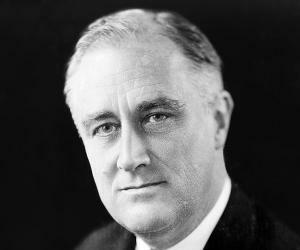 Not the one to be easily disheartened, he made a comeback with his centrist policies. He brought out the Violent Crime Control and Law Enforcement Act, which instituted harsher punishments towards criminals. Also, he was responsible for increasing the national minimum wage. In the 1996 presidential elections, he was re-elected defeating Republican candidate Bob Dole. During his years as a President, American experienced great economic boom, with lowest unemployment rates, highest homeownership rates, lowest inflation rate and enhanced economic condition. He was responsible for the signing of the Oslo Accords between Israel and the Palestine Liberation Organization as well. However, the only place where he earned negative reviews was the failure of the American military mission in Somalia and the inactive stand taken against Rwanda. Ever since the conclusion of his term of presidency, he has been active in the political circles, giving speeches, fundraising and founding charities. He created Clinton Climate Initiative, which encouraged research on climatic changes. 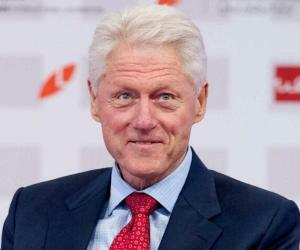 Additionally, he started the Clinton Global Initiative and the Clinton Foundation Haiti Fund. He played an active role in the Hillary Clinton's failed presidential bid and Barack Obama’s successful presidential campaign. In 2004, he wrote the bestselling autobiography, ‘My Life’. In 1971, he first met Hillary Rodham. With similar political ambitions, the two had an awesome chemistry in between them and fell in love instantly. They tied the knot in 1975. 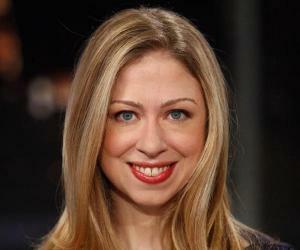 In 1980, they were blessed with a daughter, Chelsea. This ex-president of the United States was the best saxophonist during his high school years and even considered taking up music as a career.